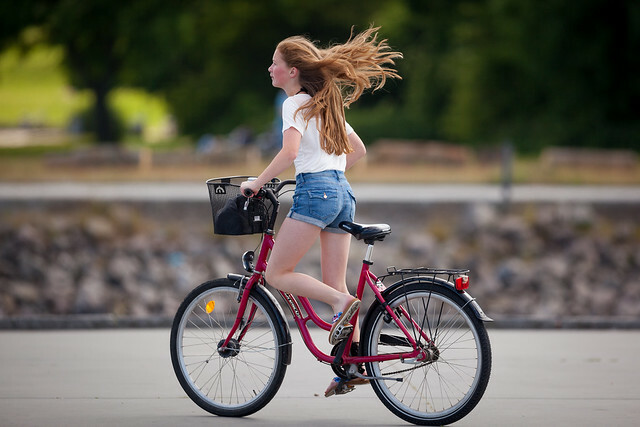 Denmark's beaches are full of bikes and Copenhagen is no exception. Still a little too cold for going into the water. But summer spirits are already high. Above; relaxed riding with Screaming Yellow Jersey and Orange Sneakers. Below; The Sea Breeze breathes buoyancy into her hair. Sand Coloured from cap to heels to match. So color coordinated. He could have been part of a film about Denmark. 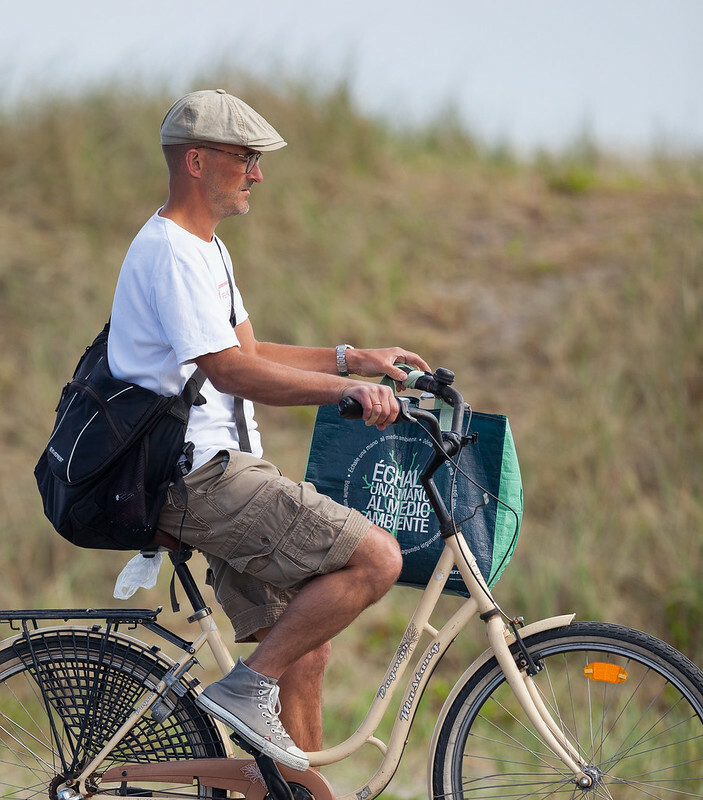 I enjoy your blog, and I have been living in DK, so I remember all the bikes from my student days.